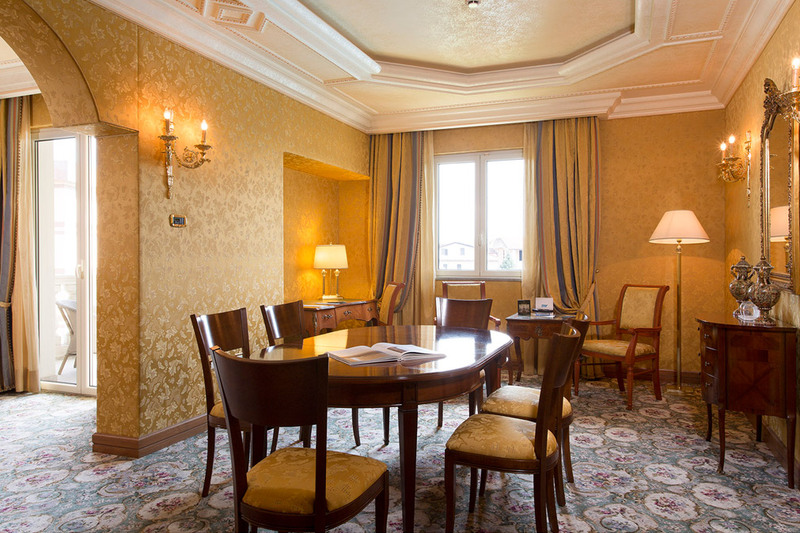 The 250 rooms at our hotel are consistent with the stylish lobby and large communal rooms, combining luxury furnishings with the convenience of technology. 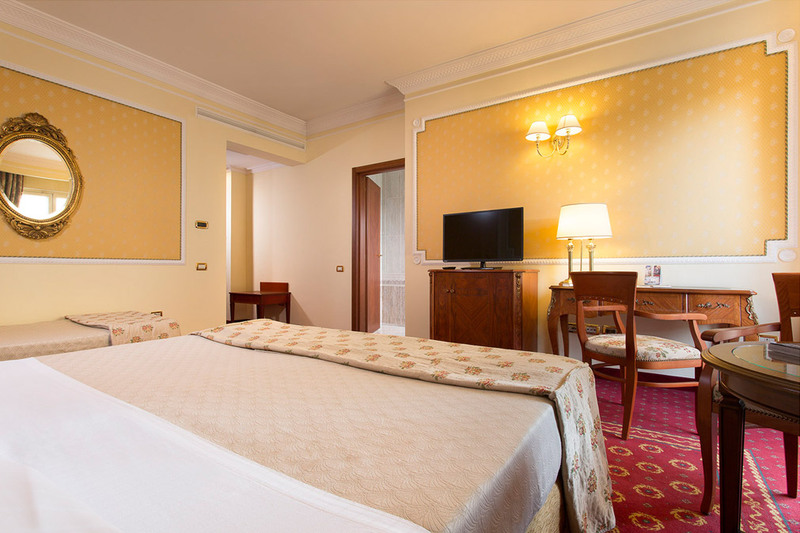 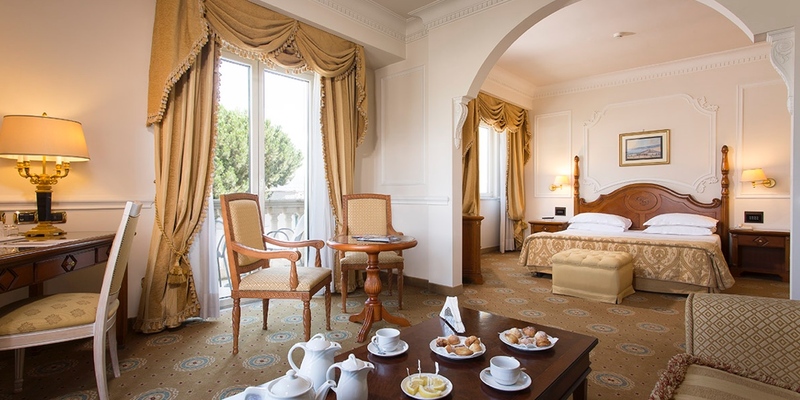 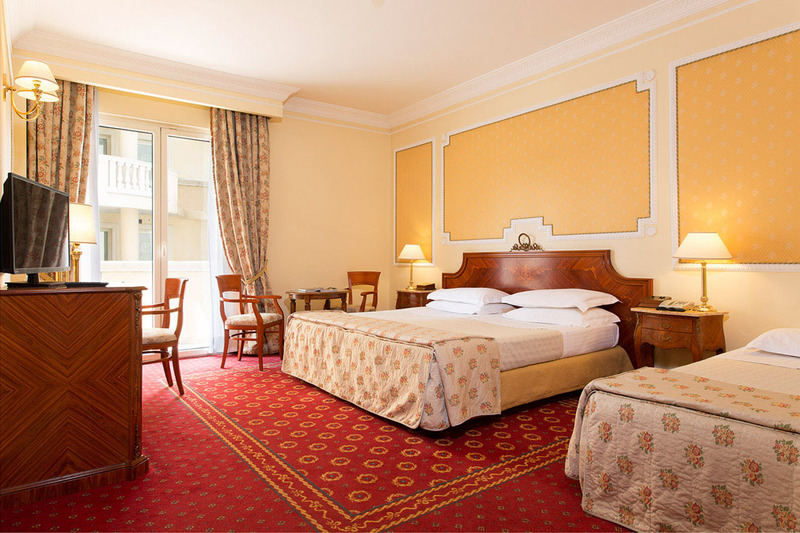 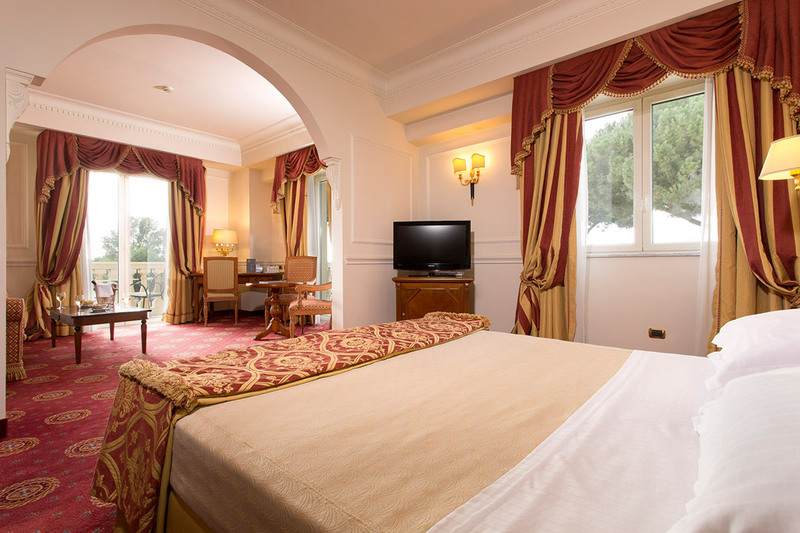 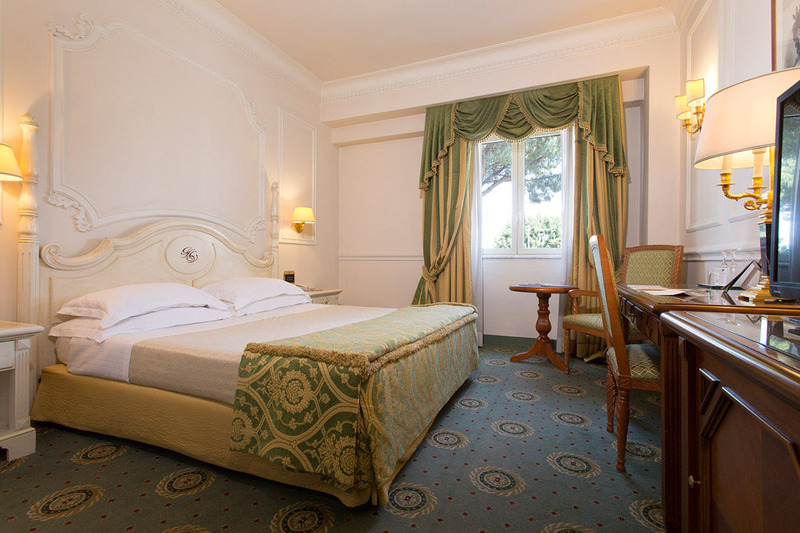 You can choose from four room types: Standard, Superior, Junior Suite, and Suite. 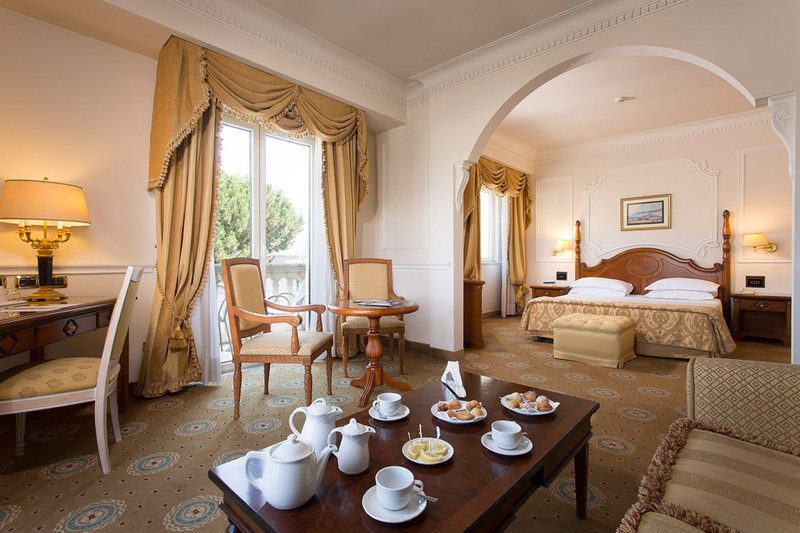 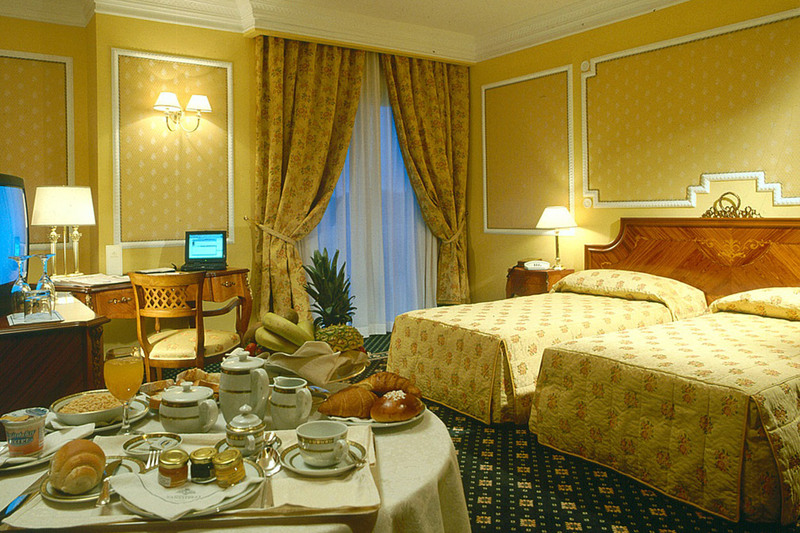 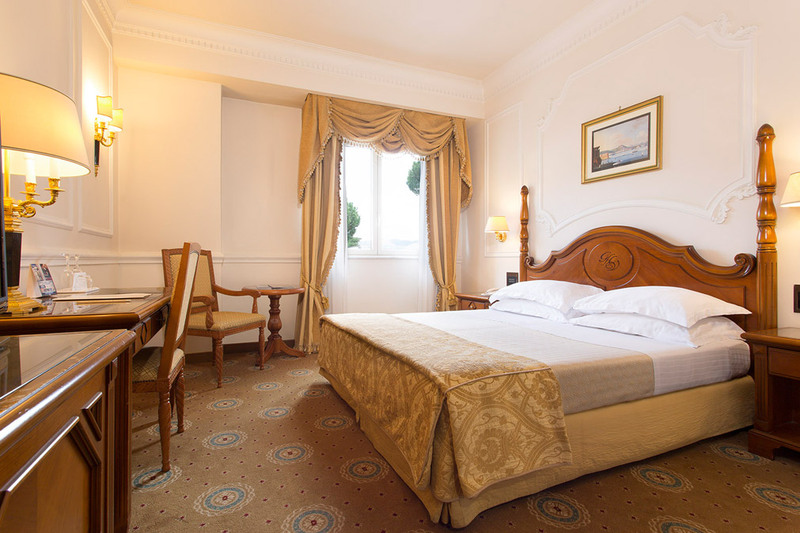 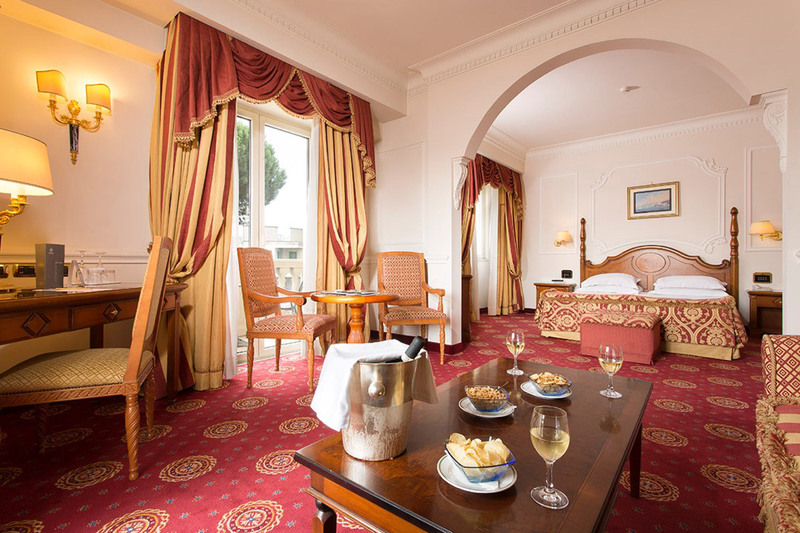 Standard and Superior rooms are ideal for short breaks, in particular for business trips. 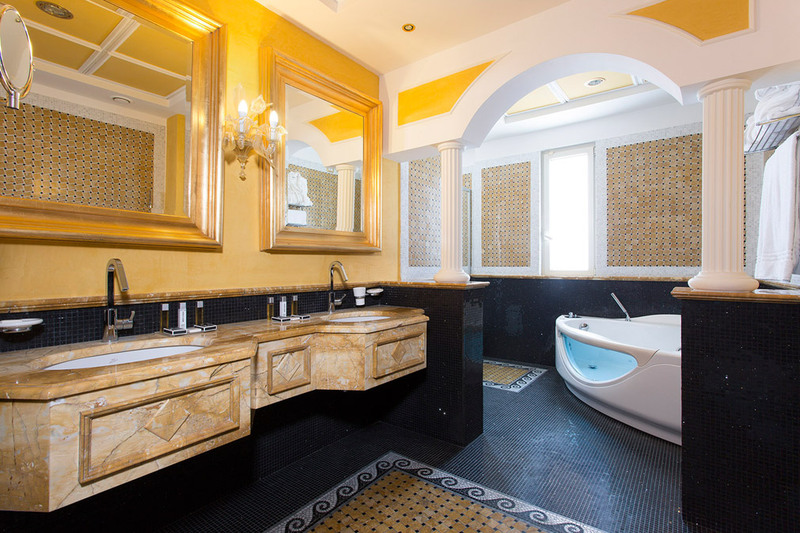 They are made up of a 17 to 37 sq m room, plus bathroom with bathtub or shower. 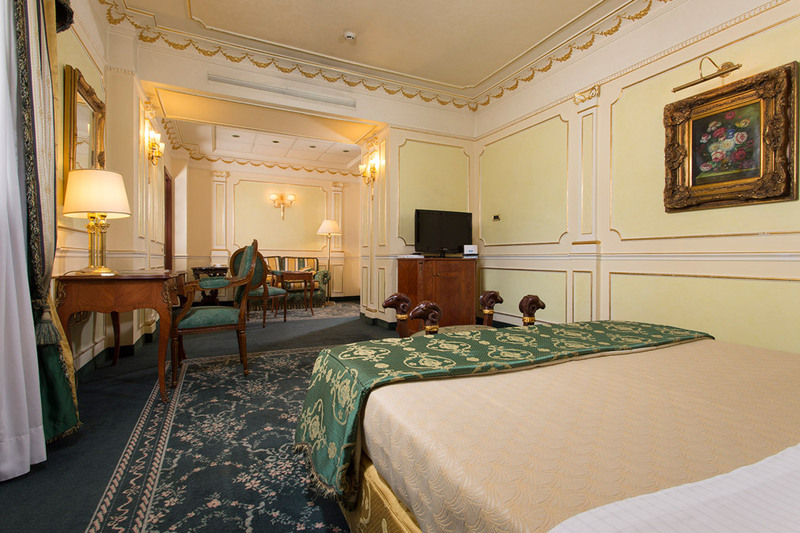 Junior Suites consist of two rooms, lounge and sleeping area, so they are perfect for medium to long stays and special weekends. 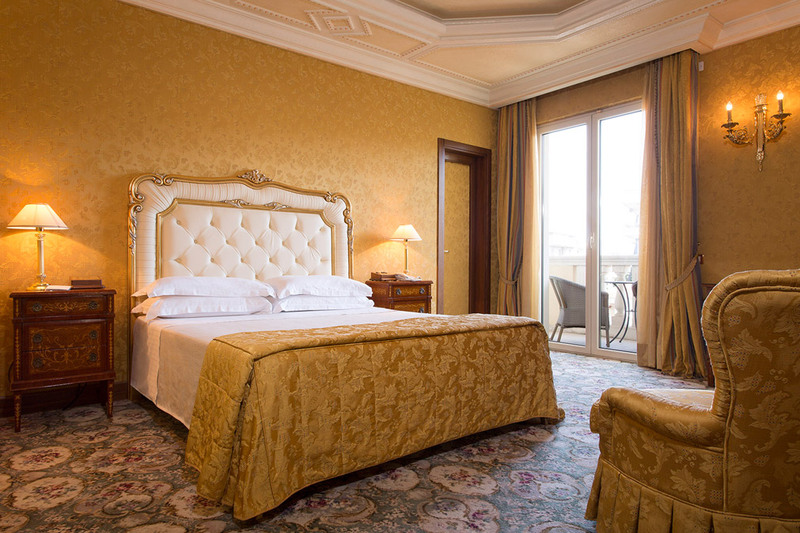 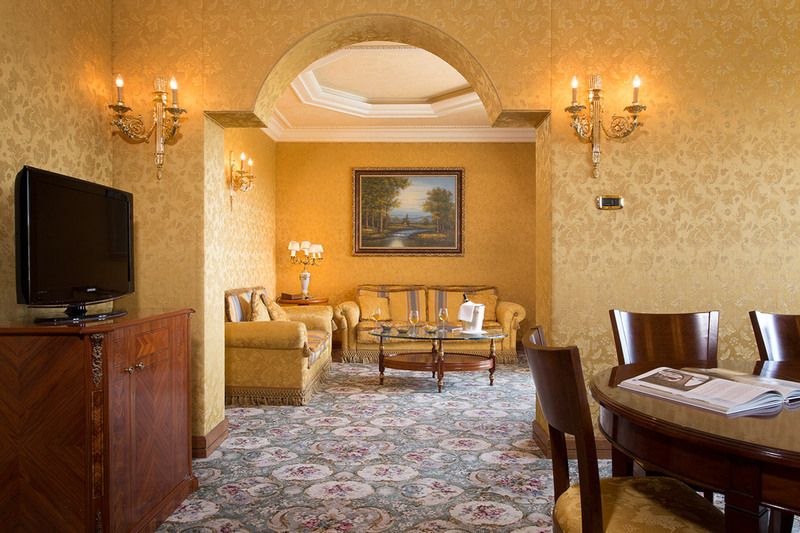 This type measures from 25 to 40 sq m.
Spacious rooms with refined furnishings, made for experiencing a truly unique stay. 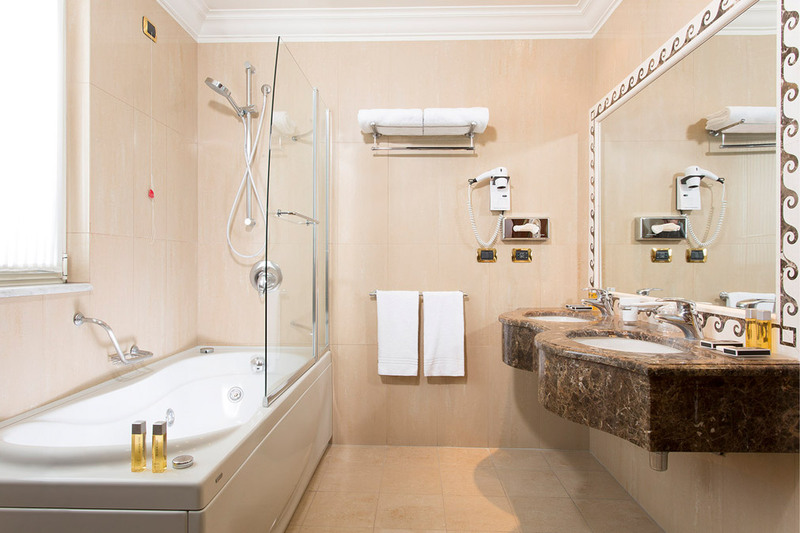 Suites, measuring 60 to 80 sq m, consist of sleeping area with walk-in wardrobe, bathroom with round jet tub, and lounge.